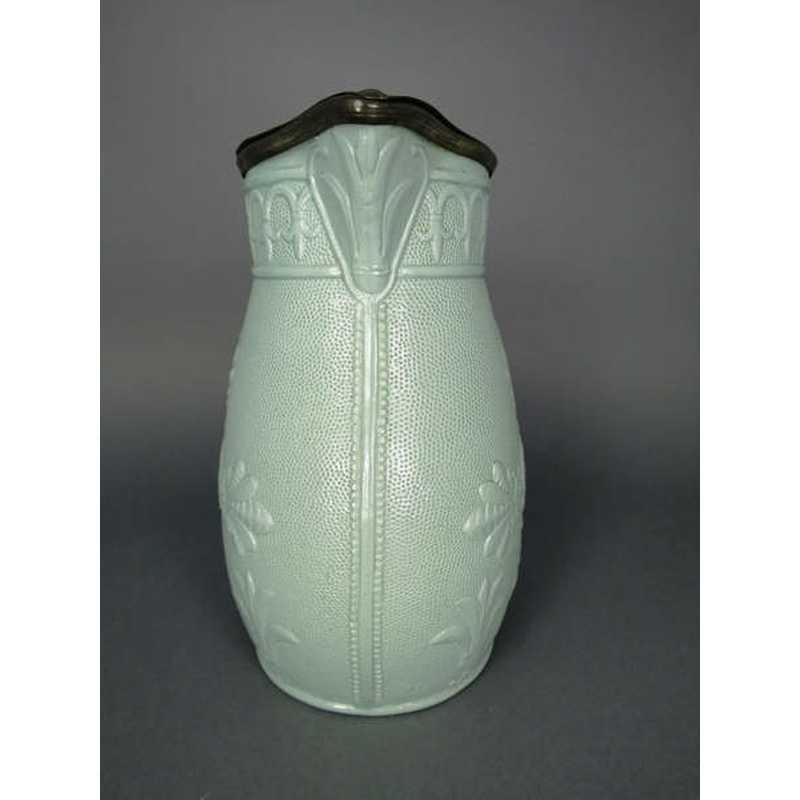 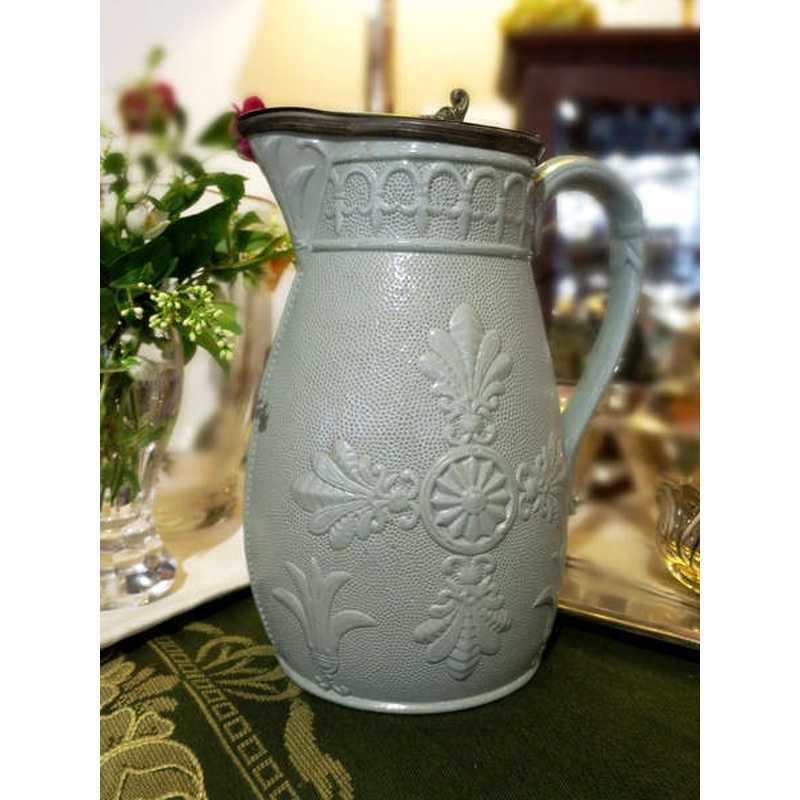 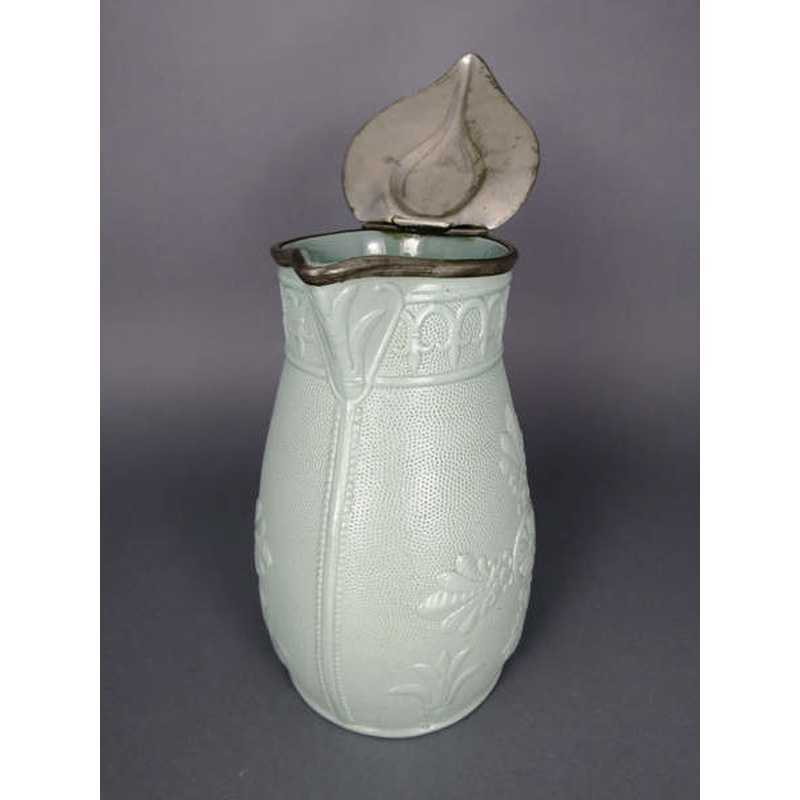 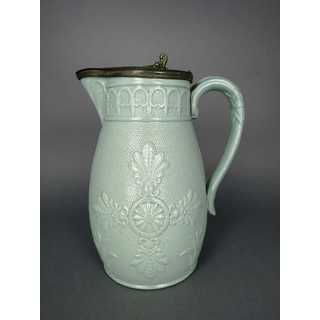 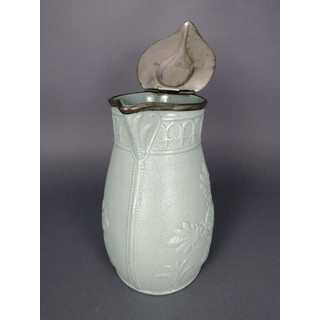 Pale green embossed and salt glazed stoneware victorian pitcher or jug with a pewter lid. 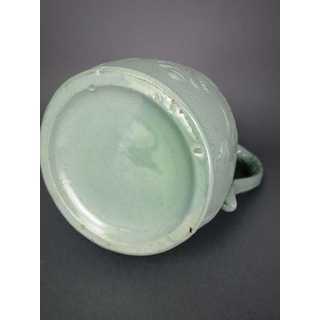 Egg-shaped body, wide open neck and a triangle-shaped, wide spout. 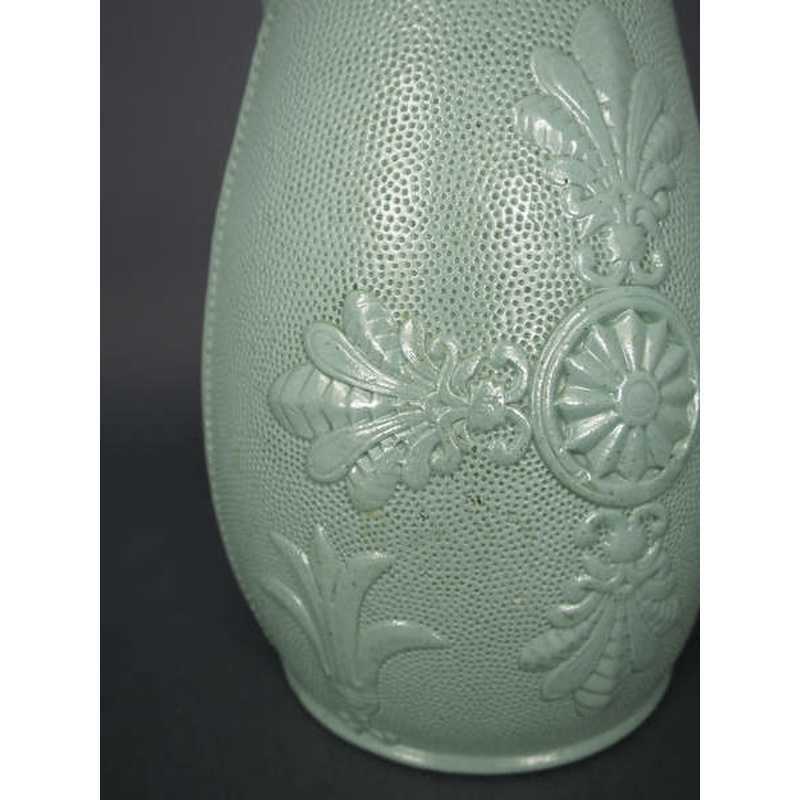 Decorative relief handle. 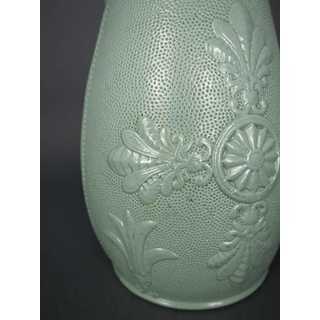 Body decorated with embossed palmettes and sunwheel patterns on dotted background. 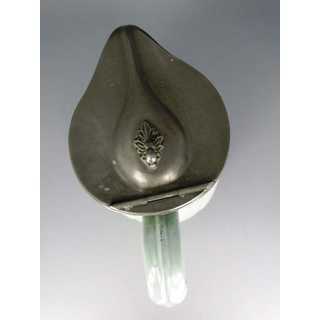 Leaf-shaped hinged pewter lid with decorative molded thumb finial. 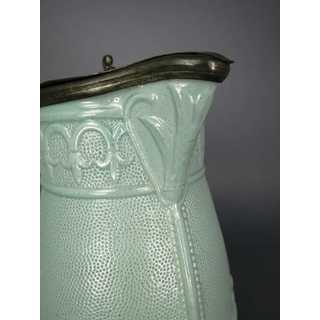 Unmarked but attributet to William Brownfield, Stoke-on-Trent/Staffordshire/England. Very good condition!